Just back from touring summertime Europe with the Mingus Big Band, Robin Eubanks has driven in from his home in northern New Jersey to meet for his first Before & After. 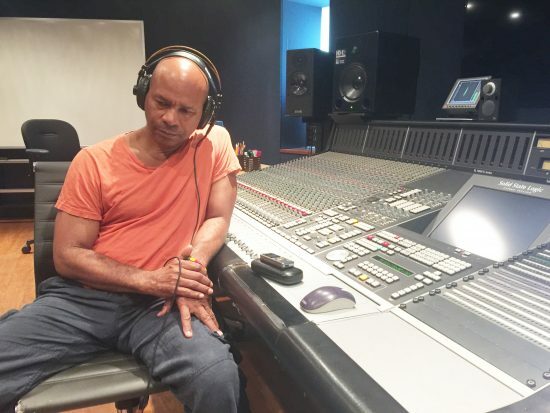 We’re in a studio at New York University’s Clive Davis Institute for Recorded Music, and for a man whose schedule book is full to the margins, he appears grounded and well-rested. His is a workable balance of road gigs (the Detroit Jazz Festival in September, a month-long residency in San Francisco with the SF Collective in October, followed by another three-week European jaunt), recording projects, and his mainstay: teaching and guiding young players at the Oberlin Conservatory of Music, where he’s been teaching jazz trombone and composition for more than 20 years. In 2017, he added a position at the San Francisco Conservatory to his CV. When Eubanks talks about the trombone, it’s more like he’s describing a community than an instrument. Under a calm, soft-spoken exterior lies an intense feeling of connection with other trombonists. He’s visibly disappointed when he misses identifying certain players; admittedly there were some curveballs in the playlist he faced. His responses are as much about his history as about the music he hears, revealing a deep range of musical experiences: growing up in the musical Eubanks family (with his brothers, guitarist Kevin and trumpeter Duane, and his uncle, pianist Ray Bryant) and the fertile Philadelphia music scene of the 1970s; moving to New York in ’80 and falling in with free players and more traditional jazz groups, uptown and down; becoming part of Brooklyn’s groundbreaking M-Base collective. 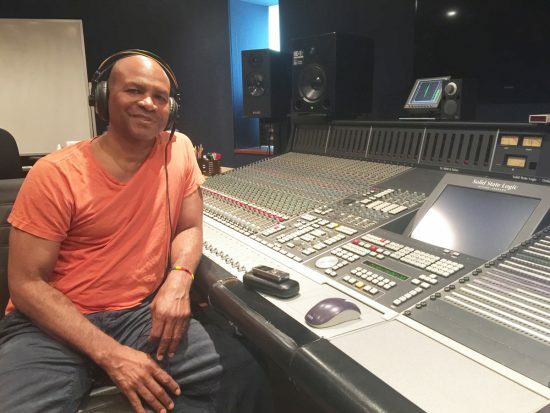 Through the next few decades, Eubanks was recruited by bandleading legends—Art Blakey, Steve Coleman, Elvin Jones, J.J. Johnson, Sun Ra, McCoy Tyner, Geri Allen, and enduringly, Dave Holland—while also finding footing outside the jazz world, working with top-tier pop artists like the Rolling Stones, Talking Heads, Barbra Streisand, and Stevie Wonder, and eventually recording 10 albums as a leader. It’s a legacy that has earned him much respect and constant employment, an achievement that he doesn’t look upon lightly. “Big Bird (Au Private)” (Thermonuclear Sweat, Hannibal Records). Joe Bowie, trombone; John Mulkerin, trumpet; Dave Hubbard, tenor saxophone; Vernon Reid, guitar; Kim Clarke, electric bass; Kenny Martin, drums. Recorded in 1982. BEFORE: It reminds me of those jam sessions at jazz festivals. I hear an electric bass, and it sounds like one of those songs they would call, something everybody would know. If I had to guess off the top of my head I would say it’s somebody like Ray Anderson, because it has a loose kind of vibe that he has and the sound is on the rawer side like he does, at least the last time I heard him play. And the harmonic language is more open—more outside than inside. AFTER: Joe Bowie, okay, Kim Clarke on bass. Last time I saw Joe was in Amsterdam. I was playing with my band at Bimhuis and he came by with his wife. He’s a real interesting guy and I think he definitely contributed to the language of the trombone. I knew his brother Lester too, who lived a couple of blocks from me on Washington Avenue in Brooklyn. Same family, same era. I liked Defunkt. They were more irreverent and had some funk aspects to the music, which I relate to—a little on the outside fringe. “King Bee” (The Thinking Man’s Trombone, Argo). Joe Newman, trumpet; Billy Mitchell, tenor saxophone; Charlie Fowlkes, baritone saxophone; Al Grey, Benny Powell, trombones; Freddie Green, guitar; Ed Higgins, piano; Ed Jones, bass; Sonny Payne, drums. Recorded in 1960. BEFORE: Offhand, it reminds me of Al Grey. The phrasing and the range—the music has a Basie feel to it and he played with Basie for many, many years. Sounds more modern but that might be because of the recording technique, I don’t know. AFTER: He was very, very influential to me because he was in Philadelphia and I used to play in a funk band [there], and so did his son Mike in another group. At that time every neighborhood had bands, and we used to play together. When Al would come off the road he would get us all together and set up music stands at his home—“You all need to learn standards!” he’d say. “What’s a standard?” I’d say [laughs]. He’d have us reading charts, and he definitely took a liking to me. In fact, he gave me one of his horns—a silver King Supersonic 3B, and also a pickup to put on my mouthpiece! My first foray into electronics with the trombone was courtesy of Al. I was 17 at the time, and Al was extremely supportive of me. I used to do some gigs with him and [saxophonist] Jimmy Forrest and [drummer] Bobby Durham, back in the good old Philly days. In 1979, Al introduced me to Slide Hampton between sets at some jazz club, and Slide asked me to sit in. I played two songs, and after the gig Slide asked me to join his World of Trombones group in New York. So I commuted to Manhattan every week or so to rehearse with them—Slide would give me keys to his apartment so I could stay with him. The following year I received a NEA study grant to take lessons with Slide. He wouldn’t take any money from me, so I used that money to find an apartment and moved to New York with my brother Kevin and [saxophonist] Ralph Moore. “Slow Bars” (from Kaleido, Blue Note). Petrella, trombone, electronic effects; Francesco Bearzatti, tenor saxophone; Steven Bernstein, trumpet; Michele Papadia, Wurlitzer electric piano; Paolino Dalla Porta, bass; Fabio Accardi, drums. Recorded in 2007. BEFORE: This is definitely different. It sounds like some kind of horn going through electronics—and a plunger trombone. I like the bluesy feel of it for sure. I’m definitely into using electronics and combining it with a bluesy feel—a plunger has more of a traditional sound, going back to New Orleans, and this combines older elements and some modern, futuristic ideas. The blues is a big net in terms of musical genres—it encompasses a whole lot of different styles from Muddy Waters and Jimi Hendrix to Miles Davis. I like the concept but I have no idea who this is. “Jitterbug Waltz” (La Zorra, Famous Door). Watrous, trombone. Recorded in 1980. BEFORE: That’s Fats Waller’s “Jitterbug Waltz.” I like the use of the multiphonics, singing through the horn. Whoever it is, is doing a good job of it—good intonation. It can be difficult to do that and stay in tune, going back and forth between the multiphonics and straight horn playing. Albert Mangelsdorff was one of the first people who used that technique extensively in jazz improvisation. I just got back from a tour and Conrad [Herwig] was doing some stuff like this. The control and just the overall feel on this is really good. It sounds like a smaller-bore horn he’s playing, whoever it is. AFTER: This is Bill Watrous? Where did you dig all this stuff up from? I never heard him do multiphonics, ever. I could hear the range and I was correct about the small-bore horn. This is a great recording. But Bill’s death is definitely a big loss to the jazz world and particularly the trombone world. I definitely had a lot of respect for him and he was a great, great player—one of the superstars that really put the trombone into the popular music world. “Bye Bye Blackbird” (Gentleman of the Trombone, Storyville). Dickenson, trombone; Johnny Guarnieri, piano; Bill Pemberton, bass; Oliver Jackson, drums. Recorded in 1975. BEFORE: “Bye Bye Blackbird.” I don’t know who this is either but I like this. Reminds me of Quentin “Butter” Jackson from the Ellington band. Nice, different sounds with the plunger. It sounds like he’s using one of the mutes in there too. AFTER: Wow. I never heard Vic play plunger, just open horn. People usually change up their style a little in terms of their language when they use the plunger, just because of the physicality of holding the bell with your left hand as opposed to holding the mouthpiece near your mouth, so it puts a different kind of pressure on our embouchure. I met Vic a couple of times back when we used to play the Newport Jazz Festival, a long time ago. We all would go up to take a bus from George Wein’s office near 74th and West End Avenue and I got to meet him on one of those trips. I told him how much I admired his playing and thanked him for what he did for the trombone, making it possible for me to make a living. He was very humble, and encouraging. Now that I’m becoming one of the older trombone players, I try to be equally encouraging to the younger players because there’s a long lineage of trombonists in the pantheon and I’m trying to add to that. Although I think now it’s almost a golden age for jazz trombone in terms of the amount of players that are out there playing really well. Maybe it has to do with the rise of jazz education in the country—all these colleges and programs, which I’ve been part of for more than 20 years. It’s a golden age in that respect, maybe not in terms of getting a chance to perform. I wanted to play this because it’s a legendary player making great music in his latter years. Is the trombone more demanding as one gets older, compared to other instruments? Would you go down to small-bore at some point? I haven’t thought about it that much. I play a large-bore horn like most classical trombonists play in symphony orchestras. It reminds me of Paul Robeson’s voice, a rich baritone sound as opposed to the smaller bore, but it’s a personal preference. Recently Yamaha gave me a smaller-bore horn and I was trying to check it out but it was harder for me to play, it was backing up on me, so I just had to adjust but that would make things a little easier, I guess, down the road as I get older. The other part of it is, whether you’re playing an instrument or working behind a desk, you got to take care of yourself. I had bursitis in my thumb because of the way I was gripping the horn and I had some problems with my left shoulder where I hold the trombone, so you just have to figure out ways to deal with these problems. But if your overall health isn’t good, then none of the little tricks will compensate for problems that pertain to your particular instrument. I try to take care of myself physically, I work out and I eat well—haven’t eaten meat in more than 30 years, been practicing Buddhism for 35. I tell people I take care of my mind, body, and spirit but eventually you’re going to have to deal with aging—it affects everybody regardless. “Satin Sheets” (from Hypnotic Brass Ensemble, Honest Jon’s). Gabriel Hubert, Amal Hubert, Jafar Graves, Tarik Graves, trumpets; Saiph Graves, Seba Graves, trombones; Uttam Hubert, euphonium; Tycho Cohran, sousaphone; Malcolm Catto, drums. Recorded in 2009. BEFORE: It’s a brass band of some sort—I don’t hear any saxophones. Tuba is playing bass lines. It’s demanding. Listening to the drum beat, they’re using more hip-hop rhythms, as opposed to the R&B grooves that were popular some years ago. AFTER: Ah-ha! I just met them last week. They were in Perugia at the Umbria Jazz Festival. They played the day after us. They were checking into our hotel and I saw the instrument cases and every time I see that, I say, “Trombone player, what’s up!” and introduce myself. Some of them knew of me a little bit. They gave me some links and I checked out their stuff online. It was definitely interesting—they’re listening to hip-hop for sure. They reminded me a little of [Lester Bowie’s] Brass Fantasy, except more in the funk pocket. “My Funny Valentine” (from Standards—Live at the Village Vanguard, Antilles). Johnson, trombone; Ralph Moore, tenor saxophone; Stanley Cowell, piano; Rufus Reed, bass; Victor Lewis, drums. Recorded in 1988. BEFORE: Not too many people use Harmon mutes on the trombone. It’s hard to play, for me anyway, especially in the upper register. The mute changes the intonation but whoever this is, he’s playing with really good intonation. Steve Turre likes to use them and this is like Steve’s lip vibrato. J.J. used to play this song too. I hear elements of a lot of different people—Slide Hampton too. It sounds like Jay’s generation, but he’s doing some more modern rhythmic stuff. The way he’s just falling off those notes—Jay used to do that a lot. If I had to choose one of them I would probably say Slide, but it doesn’t really sound like Slide to me. There’s one thing Jay did rhythmically with the piano on this track that I never heard him do before, some offbeat pattern—that’s what made me think it wasn’t him. But I really like the pacing of it and the space in it, which is something that I’m trying to work on in my own playing, because I fill up stuff with notes, and that’s another story. He was writing a book right before he died; he sent me some examples to look over that he was going to include. He had prostate cancer and sciatica, he couldn’t sit up and was in a lot of pain. But even through his illness we were staying in touch. He was in touch with everyone—he was one of the first to have a bulletin board online that a lot of trombone players would write on and he used to respond to. I called him actually a few days before he shot himself, because I used to call him every year on his birthday—the 22nd of January—and I was just going to leave a message and he picked up. I said I was just calling to say happy birthday and checking up on you, told him how we loved him. He was really quiet. A week or so later he was gone. “Regression” (from Treats for the Nightwalker, Alfi Records). Russell Gunn, flugelhorn; Peter Apfelbaum, Myron Walden, flutes; Roseman, trombone; Ben Monder, electric guitar; Adam Rogers, acoustic guitar; Josh Camp, accordion; Barney McCall, piano; Peter Apfelbaum, organ; Jon Maron, bass; Billy Kilson, drums; Ben Perowsky, drum machine, bells; Daniel Moreno, percussion. Recorded in 2003. BEFORE: It has a nice relaxed groove going on, things floating over it, and the instrumentation is interesting: accordion and electric guitar just came in. Percussion, flutes, and trumpet. The trombone is reminding me of Josh Roseman. When it first started playing it sounded familiar. There hasn’t been a full-on solo yet, the trombone is doubling melodies and playing fills. The style is definitely a Josh kind of vibe. AFTER: I haven’t heard Josh play in a long time. We used to sit next to each other in Dave Holland’s big band for a few years, and then there was that funk band Groove Collective I sat in with down in the Village that he played in. So I got very familiar with his style. He has a smooth approach—a beautiful sound and nice upper-register stuff. He’s always been a very independent person, follows his own direction, which I love. Then he hooked up this whole studio and production thing up in Williamsburg [Loove Labs] in recent years, so he got way into that, and I can hear a lot of elements of that in this. “Wonder Why” (Melba Liston and Her ’Bones, Metro Jazz). Melba Liston, Jimmy Cleveland, Frank Rehak, trombones; Slide Hampton, tuba; Ray Bryant, piano; Frank Dunlop, drums. Recorded in 1958. BEFORE: A little trombone choir. I love trombone choirs. Of all the instruments, I think trombones sound the best played en masse—except maybe for French horns. But trombones have more flexibility. The first one I ever played in was with the World of Trombones: We had nine trombones. It helped me with playing in big bands and also on Broadway, like subbing on Dreamgirls for Janice Robinson. She used to play lead trombone in the World of Trombones when I first came to New York. Some people just want to be soloists or do their crazy stuff or hook electronics up to their trombones, but ensemble playing is a whole ’nother thing that people need to really develop, especially in terms of opportunities for employment. This is maybe the ’60s? Kai Winding? AFTER: Melba? Wow. With all the trombones? And uncle Ray on piano. This is really deep. You’re going underneath the shelves finding these! Melba was definitely an inspiration for me—I played in her band Melba Liston and Company. We used to play around town and at Cobi Narita’s place [Universal Jazz Coalition]. Melba was a really good writer and I liked her playing. She also hired women in her band, like [saxophonist] Erica Lindsay and [pianist] Francesca Tanksley. When I was doing stuff with Randy Weston he spoke very, very highly of Melba, and she did a lot of arrangements for him too. “Just the Facts And Pass The Bucket” (Just the Facts and Pass the Bucket, About Time). Threadgill, alto saxophone; Olu Dara, trumpet; Craig Harris, trombone; Diedre Murray, cello; Fred Hopkins, bass; Pheeroan AkLaff, John Betsch, drums. Recorded in 1983. BEFORE: This is another one of those ensemble pieces. I love cello. The thing that caught me in the beginning was I thought it was tuba the way it was mixed, all the horns blended, but it was an arco bass—the low notes sustaining with the horns. It has a kind of Lester Bowie, Art Ensemble [of Chicago] vibe with this instrumentation and looseness. It’s not strict time—everybody is feeling the time off each other. I like that kind of playing and writing. This was interesting. It’s making me want to write more [laughs]. AFTER: I knew Craig from when I first came into town. He was doing a lot of stuff with David Murray and they were touring. He was well established on the scene when I got to New York. I probably would have guessed Craig if he played a solo on this. Like I said, I like the fluidness of it, how the phrasing went, it was almost like a hymn and I grew up in gospel church. My mom was the choir director. “Junio ’73” (from Lo Mato, Fania). Colón, Matos, trombones; Joe Torres, piano; Santi Gonzalez, bass; Louis Romero, timbales; Milton Cardona, congas; José Mangual Jr., bongos. Recorded in 1973. BEFORE: It starts off with “Love for Sale.” I love the trombone in Latin music—that’s another culture that the trombone really owes a lot to. Willie Colón used to do a bunch of those recordings with two, three trombones. This is two different guys on trombone, I believe, back and forth. I remember in the ’80s, I got called to do a recording session for the singer La Lupe. It was me and [trombonists] José Rodriquez and Barry Rogers. We were getting ready to start and I said, “When are the rest of the horns coming?” “This is it,” they said. I couldn’t even fathom it. I’d never been in a situation where the horn section was three trombones. It was amazing. 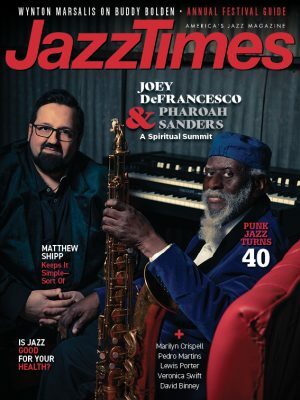 I knew Barry from playing with the Brecker Brothers more than from playing with Eddie Palmieri—I found out about that later when I started doing some work with Eddie, and later on with Chucho Valdés. I love playing this music because it was so funky—those rhythms! The bands were huge but each person had a part, like a cog in a gear, and everything just fit together—the congas and bongos and timbales and the cowbell. The bass and the piano was all up inside there, and the horns hardly ever played anything on the downbeat! [Laughs] It was so much fun. It’s a different way of playing the trombone: very percussive, and it needs that raspy sound I was talking about, like they’re using in this recording. Is this Willie? AFTER: I used to love the Willie Colón records. Fania. I still have CDs of his stuff, the roots of that trombone salsa sound. When I was playing in funk bands with Al Grey’s son we were playing music that people danced to, but once disco came, it killed the live R&B music scene in Philadelphia, so that’s when I started playing salsa gigs back in the late ’70s. Once again I was able to play for people dancing and it was nice to watch how people appreciate being able to dance to live music. That was the only music where you would have grandparents, parents, and grandchildren all at the same function listening and dancing to the same music. That, and also in New Orleans. “The Cure” (from Backatown, Verve Forecast). Troy “Shorty” Andrews, trombone; Clarence Slaughter, tenor saxophone; Dan Oestreicher, baritone saxophone; Pete Murano, electric guitar; Mike Ballard, bass; Joey Peebles, drums; Dwayne Williams, percussion. Recorded in 2010. BEFORE: I like the groove on it for sure. It reminds me of Led Zeppelin-type stuff. I love the trombone in this, but I would feel more comfortable using an electronic effect in this kind of environment. That was actually one of the reasons I started using effects—I was playing in a lot of rock bands and it felt strange playing an acoustic trombone with all of the electronics and amplified instruments. I’ve noticed the trombone examples you’ve been playing added a kind of raunch to the sound to emulate acoustically a kind of distortion. I’m not really good at doing that Gary Valente kind of rasp. I’m going to guess this is Trombone Shorty, but it doesn’t sound like his sound—he usually plays more lines and stuff. AFTER: I met him when he was 12 or 13 at a jam session at the North Sea Jazz Festival when it was still in The Hague. Steve Turre told me about him. About 10 years ago his band did a set at Iowa City Jazz Festival, and he invited me to come sit in.